The fifth special congressional election of 2017 — and the third relatively competitive two-party contest — will take place in Montana on Thursday, May 25. Its purpose is to fill the at-large congressional seat previously held by Interior Secretary Ryan Zinke. 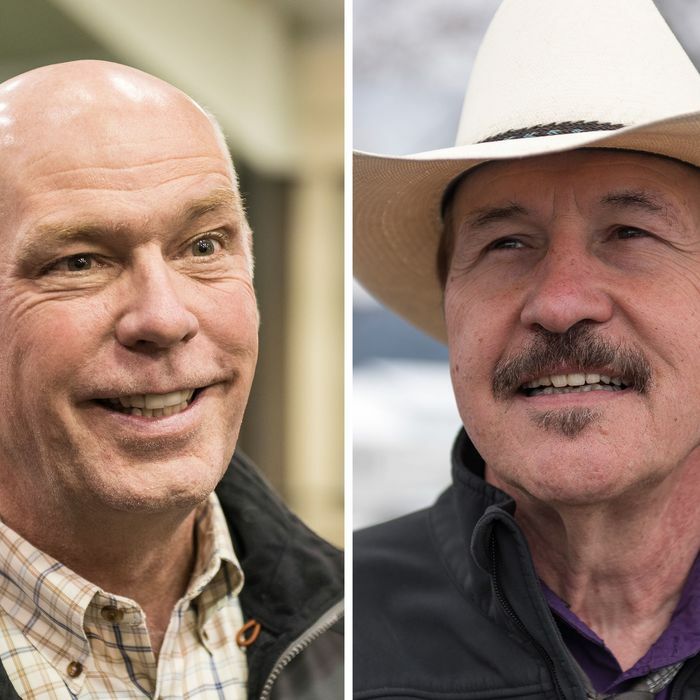 The major-party candidates, nominated at conventions, are Republican software entrepreneur Greg Gianforte and Democratic bluegrass singer Rob Quist. Montana is the rare state where ticket-splitting is still relatively common. The state has gone Republican in the last six presidential elections; Donald Trump won by a 56/36 margin in 2016 and Mitt Romney won 55/42 in 2012. But even as Trump cruised to an easy win, Democratic governer Steve Bullock won 50/46 — over Greg Gianforte, as it happens. And in 2012 both Bullock and Democratic senator Jon Tester narrowly won despite Romney’s comfortable win. So Republicans are not complacent about holding Zinke’s seat, as evidenced by the $3.9 million that national GOP groups have spent so far to help Gianforte (who has raised $2.3 million and loaned his campaign another million). Quist, who fits every Easterner’s idea of the perfect Western populist (he’s a Bernie Sanders fan who campaigns in a ten-gallon hat and plays his own songs), has done well on the small-dollar circuit, raising $3.3 million and benefiting from a smaller but still significant national investment. Like his local role model, former governor Brian Schweitzer, Quist breaks with national progressives on guns; like Bullock, he describes Gianforte as a rich carpetbagger (he spent his early career in New Jersey, and ultimately sold his company to Oracle). The Gianforte campaign has gone pretty heavily negative, attacking Quist for some personal financial irregularities and most recently, going after him for performing at a nudist resort (though without doffing his clothes). Gianforte is closely associated with the Christian right, and clearly wants to depict Quist as one of those environmentalist hippies you find in Missoula (Quist actually lives on a ranch near Kalispell) who are out of touch with Montana Values. One of the more substantive aspects of the campaign involves health care: Quist has gone after Gianforte for supportive remarks about the wildly unpopular House health-care bill, while Republicans have attacked Quist for supporting single-payer. As in other 2017 elections, turnout efforts and enthusiasm could make a late difference, and despite Trump’s past popularity in the state, Quist may be tempted to make the contest a bit of a referendum on the embattled president. Given Montana’s particular character, local factors will probably matter most. One thing is for sure: If Quist pulls the upset, his music sales are going to boom.